Adam Riches is a magnetic, dangerous life force and this year he takes us up a league with a fresh kind of total comedy experience. Coach Coach has all the thrills of classic (or at least old and beloved) big budget American movies that flood us with teenage rushes of ambition, rage, arousal and pure adrenaline. Even before the show starts, the audience is prepared for what they are in for with colourful flags and pumped up music. The cinematic experience is achieved with a surprisingly big cast who enact proper goodies and baddies, a couple of timeless love stories at different stages of life and, of course, a BIG GAME where everyone is rooting for the heroes. But here comes one of Adam Riches’ magic touches; the outcome will be decided by a member of the audience so we are all in a state of whooping, feverish suspense as the finale approaches. For those who have experienced the joy and knife-edge fear of past shows, there is comparatively little audience participation and the format is more formal. I caught myself hoping that some things would go (slightly) wrong, just to see how he would react. They did, and his on-the-spot improvisations sparkled with the essence of Fringe fun. The character of Eric Coach is more complex than Riches’ previous incarnations as he sheds some of his alpha male dominance now that he has a wife and boss to contend with. Stevie Martin (from the sketch group Massive Dad), plays Mrs Coach with wry nonchalance and a delightfully mobile baby bump which she wields and yields, depending on the needs of the moment. Richard Gadd is chillingly silly as the big bad boss while David Elms champions the characters of the younger generation with winning charm, despite not winning any baskets on the night I saw him. Didn’t stop me shouting myself hoarse though. 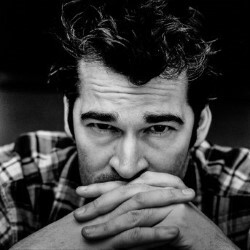 You can see Adam Riches is Coach Coach at the Pleasance Dome at 21.45 until 30 August.